We have had a number of beginners join recently, and the amount of information can be overwhelming. This is an annotated list of links that I, as a fellow beginner, have found useful. Many of these free sites have been mentioned elsewhere on the OGS forums, and that’s how I discovered them. This is a classic site, often recommended, and it is where I started — but only because it was the first tutorial I found. About two-thirds of the way through, it became harder, especially since I knew nothing else about Go. At that point, I set it aside and went back later to finish it. Pros: Provides a good overview. Covers additional topics that some other tutorials miss. Cons: Does not work on iPad. Read reviews, compare customer ratings, see screenshots, and learn more about Igowin Tutor. Download Igowin Tutor and enjoy it on your iPhone, iPad, and iPod touch. Pros: Starts with a logical progression: Points, Liberties, Connections, and then Capture. That order made a lot of sense to me. Cons: Not yet available on Android. The best place to play Go online! 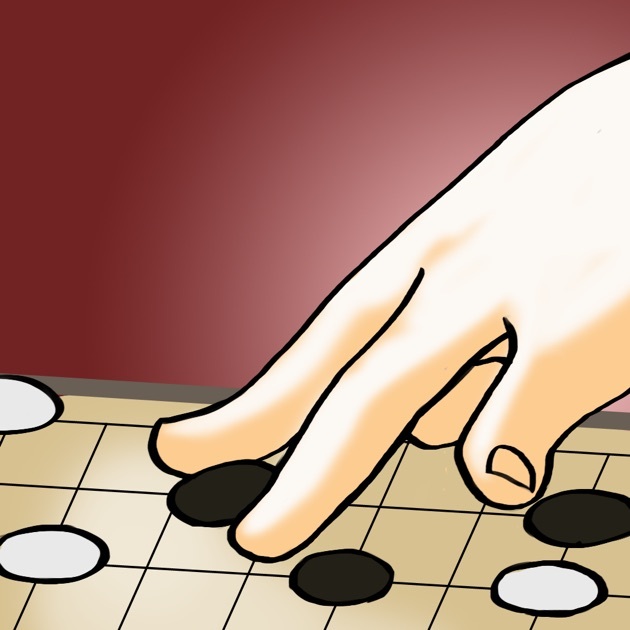 This is the interactive Learn to Play Go tutorial on the main OGS site. It has a clean, well-designed interface and is simple to use. It is worth checking out, even if you have already read another introduction to the game. Pros: This is one of the quickest ways for a total beginner to learn enough to start playing games. Cons: Additional topics are beyond the scope of this short tutorial. It ends with an option to play a computer bot (Fuego), which can time out. Pros: Here you can find details on a huge variety of topics related to Go. Cons: The sheer volume of information can be daunting. Some pages are works in progress. This site was originally created for a kindergartener, and there are no written instructions. You solve tsumego (puzzles) by choosing a Pack in the right column. After you load a Question, the left column displays an icon. For example, in the capture sections the icon is a hand placing a stone in a bowl. (It really is a stone, not a tennis ball, which was my first thought. ) After the introductory sections, one of the best packs for beginners is Life and Death Basic. The icon for that section shows two eyes, and there are hundreds of examples that teach you to recognize the difference between real eyes and false eyes. Pros: Fun to use. Problems are organized by category and are presented in order, from easy to more advanced. Cons: No written instructions. Although there are hundreds of free problems, access to the full site is by paid subscription. Pros: This course is well thought out. New chapters build on previous ones. It uses an effective learning method. These lessons are clear and well written. Sometimes it helps to have the same concepts explained in a different way, and these pages are particularly easy to understand. The third lesson covers double atari, nets, and ladders. Pros: Nice writing style, enjoyable to read. Cons: There might be more lessons available on this site, but I am guessing you need to sign up for weekly emails to find them. This free Dutch site offers an entire curriculum to study. Click on the tiny UK flag for the English translation. The first steps are easy going. I have bogged down in the middle, but I hope to eventually complete it. Pros: This site is more ambitious than most other tutorials, and it includes more advanced study. But if you stick with it, it will track your improvement over time. Cons: Graphics are small and low resolution. Even on the English pages, some alerts show up in Dutch. (The error “Je kunt meer stenen vangen” translates to “You can get more stones.”) There are no answers, which can be frustrating when you can’t solve a specific problem. The advantage of both collections is that the authors have taken the time to explain the right and wrong answers. These puzzle sets are a bit challenging for anyone just starting out, but the explanations are valuable. If you get stuck and can’t solve a specific puzzle to get the Next button, click on the puzzle name in the upper right for a drop-down list. Pros: These two puzzle sets have great text, explaining why a specific move either works or doesn’t. Cons: For the OGS Puzzles section in general, a “Hint” button would be nice, for the times when I have no clue how to solve a problem. When you are ready to make the leap from smaller boards and move up to 19x19, this tutor is a smart next step. Most beginner sites focus on 9x9 or small sections of a larger board. Learn Go shows you how to approach 19x19, teaching you to look at the full board. On page 2, when the tutorial started talking about the board in terms of land surrounded by water, I wasn’t holding out much hope for the rest of the course. I was wrong. There is a lot of useful information here. Pros: Learn Go includes elementary strategy and tactics for 19x19 games that many other beginner sites don’t mention. Cons: It is missing an introduction that explains what level student would benefit most, as well as a quick summary of the content so that you know what to expect. Those are my top picks, but the list is not complete. Do you know of other sites that would help beginners? Please add them. Tutorial after clicking "I'm new to go"
I regularly send new players to The Interactive Way to Go. I found it a good foundation for just starting out. Erm moderators. PIN THIS THREAD and keep it pinned FOREVER. Charles Matthews has graciously given OGS permission to host an official copy of his book Shape Up! Please enjoy!